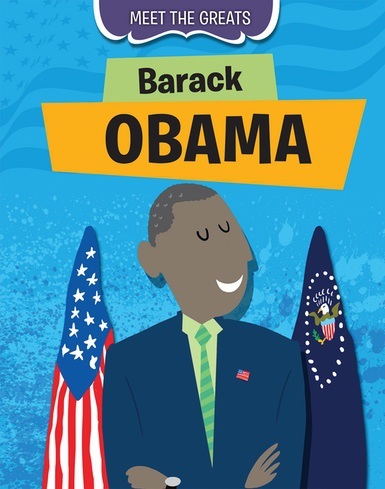 Even though Barack Obama is recognizable to young readers, do they know his life story and all that he's accomplished? This volume bridges the gap between news reports of his presidency and what elementary readers really want to know about the first black president. Pictures on each page and inspirational quotes lead readers effortlessly through the meticulously uncomplicated and age-appropriate language. This highly requested biography is sure to be a quick hit in any collection. Dimensions: 7 1/4" x 9 1/4"